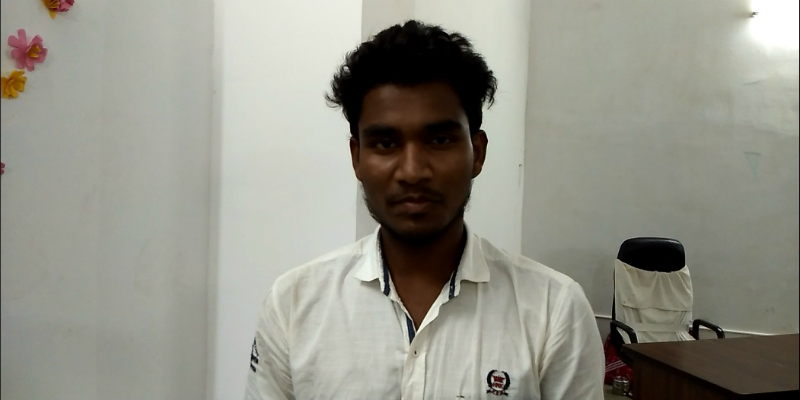 Jagveer Prajapati is a student of Livelihood College, Jashpur. The livelihood colleges in various districts in Chhattisgarh are very popular among the youths. These colleges run various courses to train the young men and women in various skills keeping in mind the requirements in various industries. The industry specific courses are aimed at enabling these youths to acquire the required skills necessary for various jobs in the industries. The Livelihood College in Jashpur town in Jashpur district is one of the prominent Livelihood Colleges in Chhattisgarh. One of the courses that the Jaspur Livelihood College offers is Showroom Hostess. This has been devised keeping in mind the demand for efficient showroom hostesses all over the major cities. The recruitment rate so far is 100%. 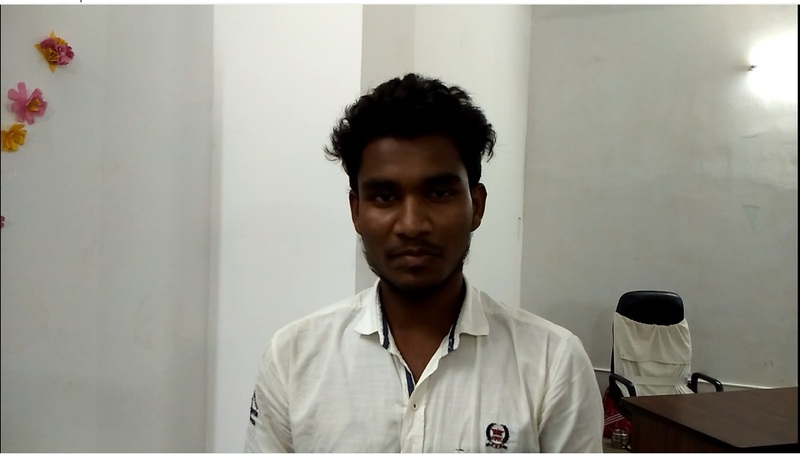 Jagveer Prajapati is one of the students who have got employment after completing the course at Livelihood College at Jashpur town. Today Jagveer is beaming with happiness and confidence. After getting selected for the job at a leading establishment he is ready to start his dream journey. “I took up this course hoping to get a good job and today my dream has been fulfilled. I am happy that I could get this training.” He says. Jagveer and others were trained in various skills especially people skills in order to make them perfect hosts. They were trained to deal various situations and the different aspects of talking to people. “We were taught how to greet people and talk to them, answer their questions or deal with various situations. This has increased my confidence. I can now talk to people more confidently.” He says. Jagveer comes from a simple family in a rural area. His job will ensure that he can now contribute to the family in a significant way. He feels that without the training he would not have been able to achieve what he has achieved today. Jagveer is one of the many youths in Jashpur who have been benefited from training in the livelihood college. Many of them have land in their dream jobs while others are getting ready to join the workforce. Many other young men and women have been inspired by them and are expecting to build their dreams. These livelihood colleges in various parts of Chhattisgarh are now targeting to turn the state into a hub of skilled manpower that can not only fulfil the industry needs in Chhattisgarh but also in other parts of the country. Another significant aspect of Jagveer’s training is that he got all the accessories needed for the course free of cost from the college. The college even took care of the accommodations of him and other students. This has helped a lot of students, especially from the underprivileged sections of the society to pursue their dreams without any difficulty. This is also another reason that makes the concept of Livelihood College a success story among the youths. The Livelihood College in Jashpur also hopes to introduce many new courses in the coming days to enable to youths to gear up for various new professions.